Summer is a time for travel, staying active and being outdoors and you need a soap that can handle all the demands you place on your body during the summer months…as well as throughout the year. Wouldn’t it be great if you can get the energy you need naturally without having to drink so much of that morning coffee or down an energy drink? And wouldn't it also be great if you could get a soap that not only delivered that energy naturally, but included other natural ingredients good for your skin and helping you with whatever needs you have in your daily shower? DirtyBird Energy Soaps can help! Whether you want ENERGY, need to RELAX after a long hard day or need to RECOVER from a hard workout, a long hike or day at the beach playing volleyball or with your kids… DirtyBird has you covered! DirtyBird Energy is dedicated to creating products to help productivity for active, busy lifestyles. Whether it is getting up and out of the house, at school, at the office, during a workout, or raising children, they want to help everyone be at their best and most productive! Each DirtyBird Energy Bar is infused with ingredients to help achieve this goal. The ENERGY Soap bars are infused with caffeine and peppermint oil to energize the body and mind. Scientific studies show caffeine absorbs through pores and hair follicles, which will energize the body even before your first cup of coffee in the morning. Caffeine has also been used for years in spas on the skin as an anti-oxidant to reduce the look of aging and cellulite. The RELAX Soap bars are infused with lavender, chamomile, rosemary, and ylang ylang essential oils. Each of these oils absorbs to relax the body and mind as well as soothe the skin. An evening shower with Relax helps to promote a restful sleep allowing you to wake up refreshed and ready for the day ahead. The NEW RECOVER Soap is specially formulated bar helps to take on some of the recovery for you, gently exfoliating away dirt, grime and dry skin to allow optimal absorption of its ingredients. Infused with NEW! Natural Soaps with Caffeine for Energy! Arnica, Eucalyptus and Rosemary extracts, this trifecta of body treatments aims to encourage faster healing of bumps, bruises and inflammation so that you can rest up and ready yourself for your next day at school, big game or whatever life has to throw at you (or vice versa). This one does contain caffeine as well. And the soap isn't the only thing that's special! 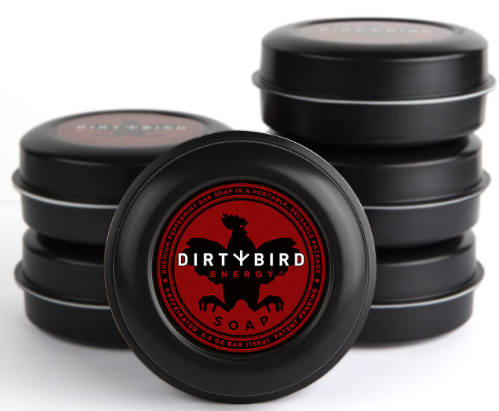 DirtyBird Energy soap comes packaged in their patented reusable container, that snaps shut and allows you to take your soap anywhere; the gym, camping, vacation, anywhere….or use it to keep other goodies in. And DirtyBird Energy is proudly made in the U.S.A….another plus! 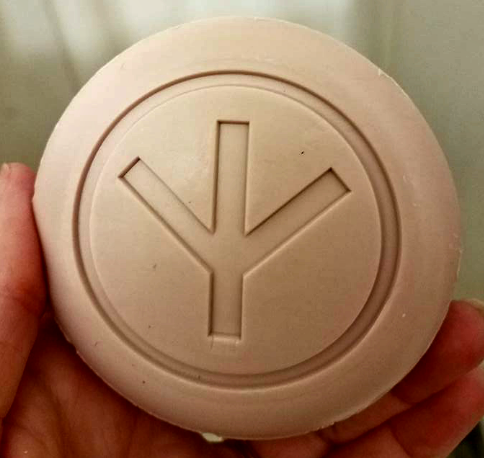 I love DirtyBird soaps. They are invigorating and help to wake me up first thing in the morning. With the exfoliating beads and rich lather, it is the perfect soap to use to shave my legs. I am loving both the energy & recover formulas to help me start out my day. I love the relaxing lavender soap for my nightly shower. I appreciate the plastic containers that the soaps are stored in, because I can take them along when I travel, and it helps the soaps not to leave a yucky residue in the shower. 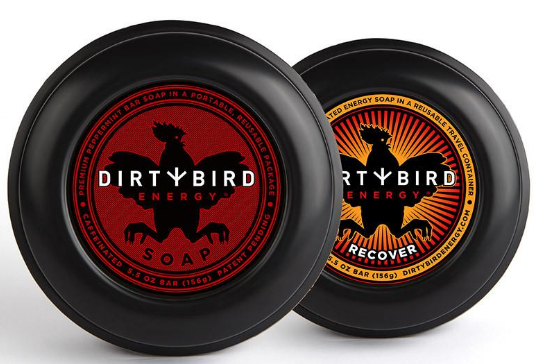 DirtyBird Energy Soaps are available in singles, a 2-pack variety, 6 packs or in a monthly membership, delivered right to your door every month! Not a bad deal at all!